I’m not one to sugar coat things, so I’m going to give you it straight right now. Take a last glance at that list of NY resolutions and throw it in the trash. Then set fire to it. Then bury it in a deep dark hole. Maybe change address just to be sure. I know you’ve saved all those super food recipes on Instagram and Pinterest with the best of intentions, but friends don’t let friends make terrible life choices. As I’ve said before, friends don’t let friends order salad. Instead, I have a different resolution to propose to you: through 2019 be sure to check out each of the businesses in the following list. Why? Well – and here comes the blatant hard sell – these are the businesses that sponsor and support this site. 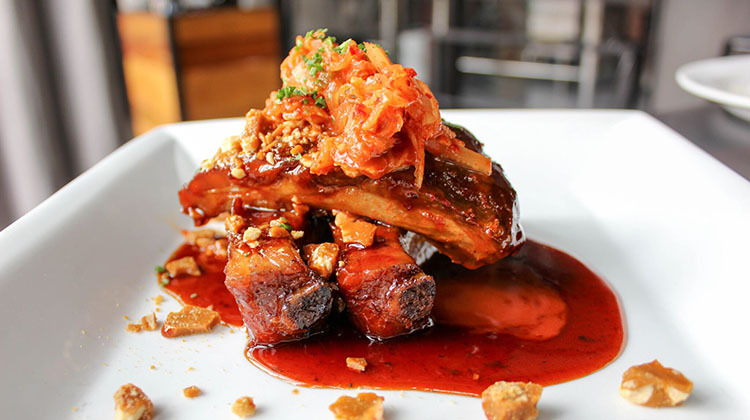 They put their money where their mouth is and keep Gastronomic Salt Lake City powering along. A lot of businesses might talk the talk when it comes to supporting local, but do you know how they’re actually walking it? Did they do anything more than buy a bag of spuds from a Farmers Market once and call it good? The businesses listed below all supported this site with cold hard cash. My promise to you is that if you frequent any of these business during 2019, you’re going to enjoy your experience (yes I turn some sponsors down). So go ahead, save this post and keep it in your back pocket. 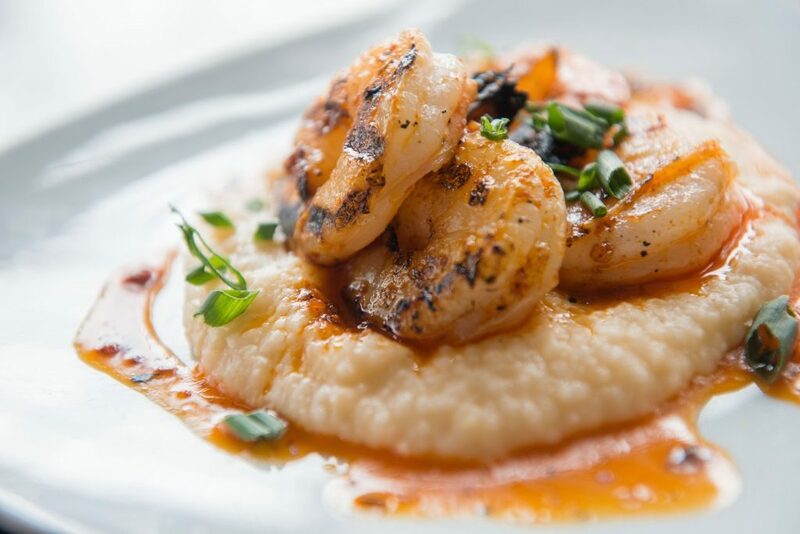 When you’re looking for dining and drinking inspiration during 2019, go ahead and pick someone on this list – you’ll be helping to make this site bigger, faster fatter and stronger. First up, we have a brand new headline partner for 2019. With their sponsorship, we’re able to remove all the annoying third party ad banners from the site. That means no more articles broken up by incessant demands to buy this or that. The Gateway’s support for the following year, means you’ll see just their simple ad info on each page. If that’s not supporting local I don’t know what is. Expect to hear a lot more from this quickly iterating entertainment complex this year as Punch Bowl Social comes online (think a more grown up Dave N Busters) alongside Seabirds (the craft cocktail bar from the folks behind La Barba) and the new Skinnyfats food hall out of Vegas. On top of the changing business landscape, The Gateway has already started embracing the local food scene by supporting a myriad of fun food and drink events. 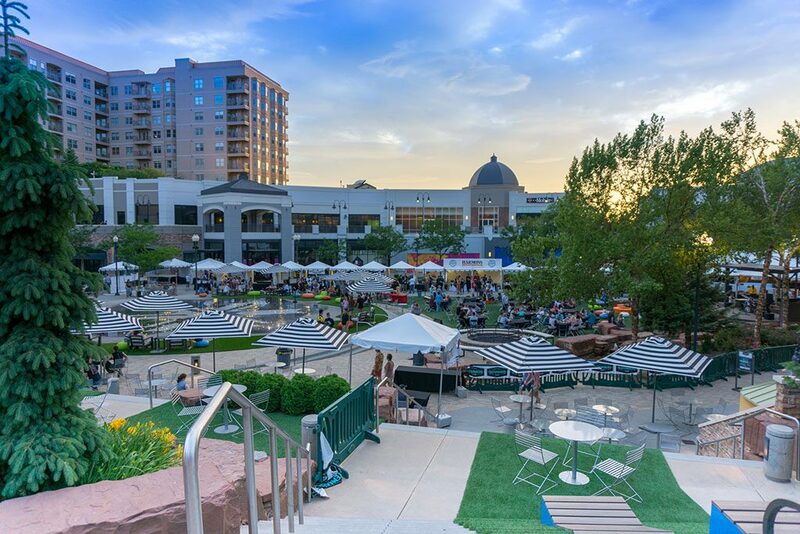 Indeed the venue has already become something of a goto space hosting everything from Tastemakers to the Food Truck & Beer Battle, not to mention more ad hoc get togethers like the weekly Food Truck At The Fountain event. I’ll be bring you more news on the evolving state of the facility through the year. 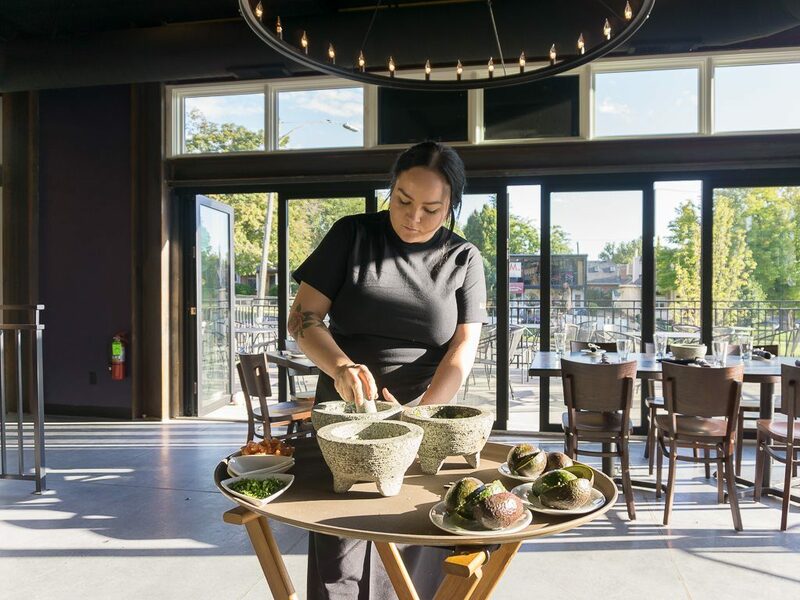 At either Alamexo location start with the table side guacamole and then move onto one of chef Matt Lake’s refined dishes. Ever tried the Yucatan speciality of cochinita pibil? Slow roasted pork should with achiote and biter orange? You’ll find that and many other carefully crafted regional dishes here. 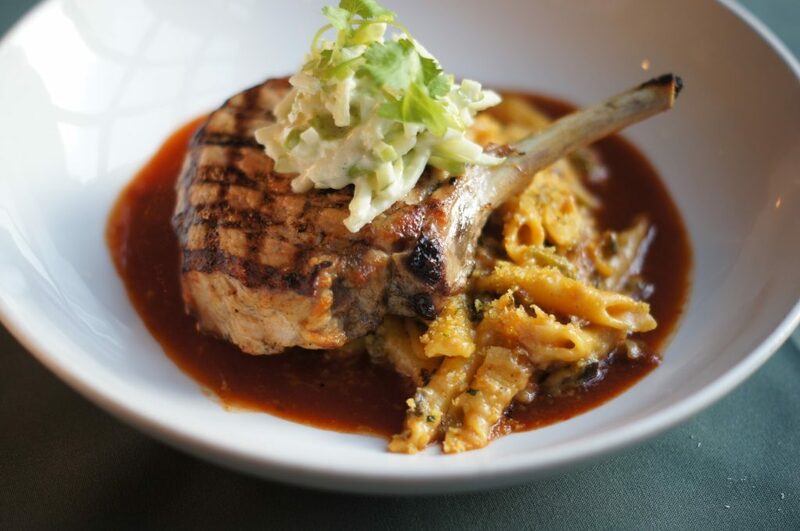 Lake is every ounce the Rick Bayless molded obsessive when it comes to capturing Mexican cuisine in its finest form. If you don’t know these names, places or dishes, step away from the $2 burrito and explore the nuanced world of Mexican fine dining here. Ever scan through a restaurant menu and drift off to sleep reading the same old dishes, again and again? You’ll never fall to that fatigue at this Avenues eatery. The menu is always eagerly evolving with the seasons, but don’t fret, standby favorites like the chicken and waffles never depart. 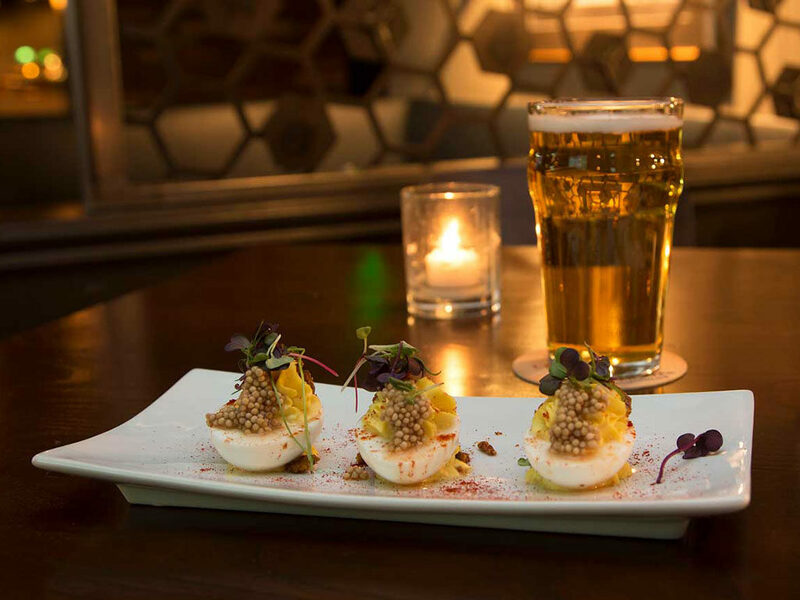 At any rate there’s always something interesting to sample from head chef Jeffrey Springer, not least a series of fine food events that range from special celebratory dinners through unique cellar pairings where Avenues pair cellared beers with one off event menus. I rarely cover chains. There’s a good reason when I do. In fairness BGR – Burgers Grilled Right – is a micro/boutique burger chain that really does want you to have it your way. I’ll hold my hands up – I was worried when BTG made the small trip down the road towards the end of 2018. 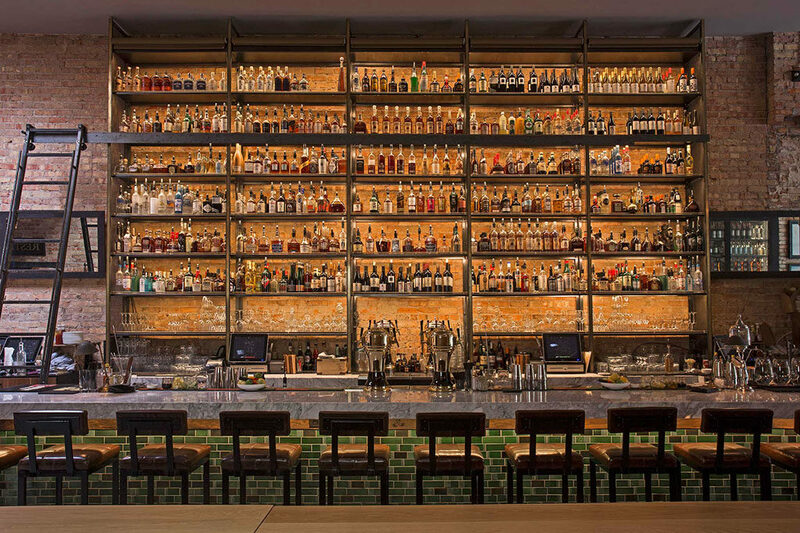 The chic wine bar is easily one of my favorite drinking destinations in town, and who knew what the migration to the Eagle building would bring. A world of worried oenophiles likely held their breath and decanters too. We needn’t have worried. BTG is as good as ever, and dare I say it, the unique space delivers a new lease of life into the wine by the glass concept (there are more than 50 here). If you’re an old customer be sure to come see what’s new, if you’ve yet to come and raise a glass, be sure to change that in 2019. The first restaurant from the now exceptionally popular Bourbon Group was this humble underground bar and restaurant. The space has seen some refinement and reworking since they first hit the scene, but you’ll still find brews, burgers and plenty of cheer. As Bourbon House isn’t on the currently mega-popular strip of Main Street, it’s also a little less crowded too if that’s your style. 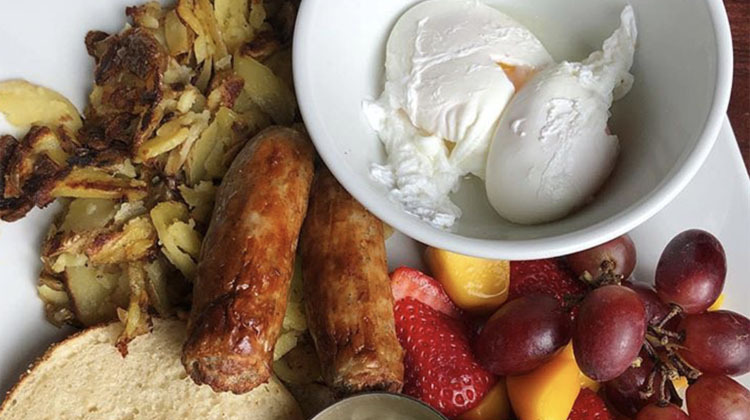 This neighborhood cafe serves as a breakfast, lunch and dinner spot for locals in the know. 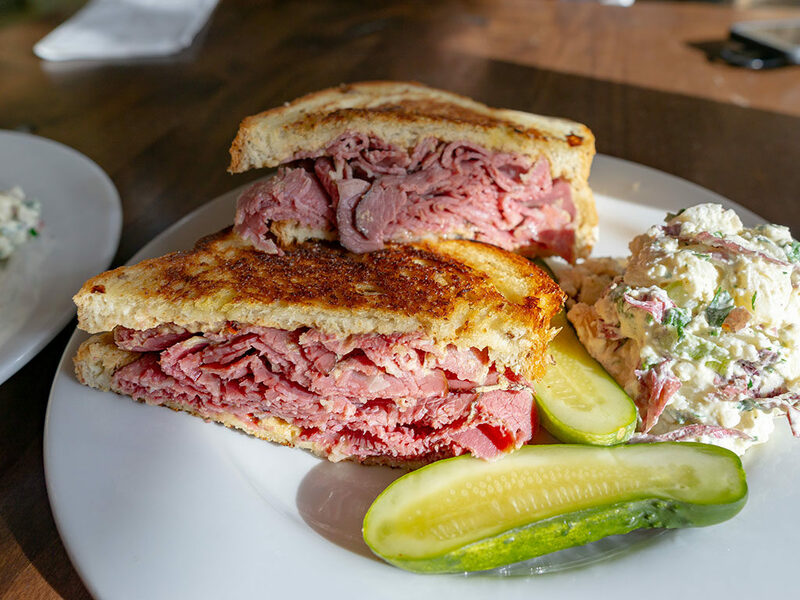 Chef Andy Morrison’s menu starts with biscuits and gravy in the morning; moves onto corned beef reubens at lunch; and ends with Morgan Valley lamb in the evenings. 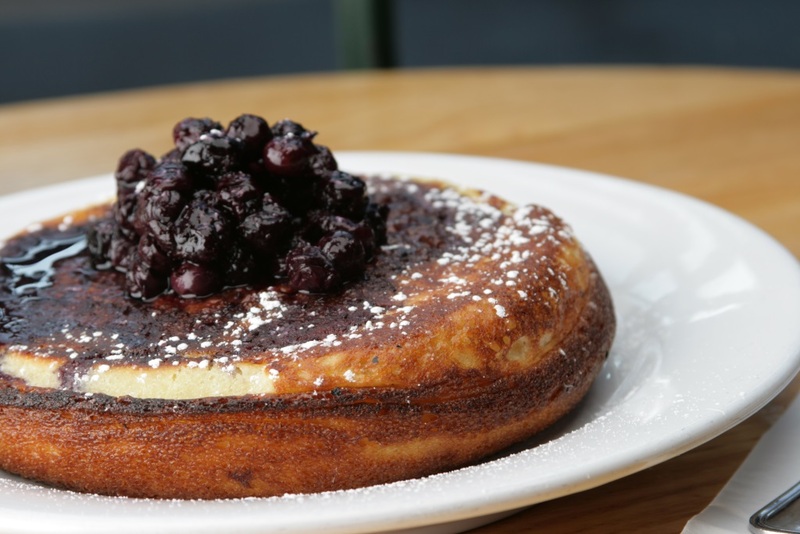 It’s comfort food made classy in a cozy spot that begs you hang out just a little more and order dessert. The big sibling to BTG and located upstairs from the wine bar. Between the two businesses you have a full evenings itinerary right here. A long lingering candlelit evening awaits you at both. 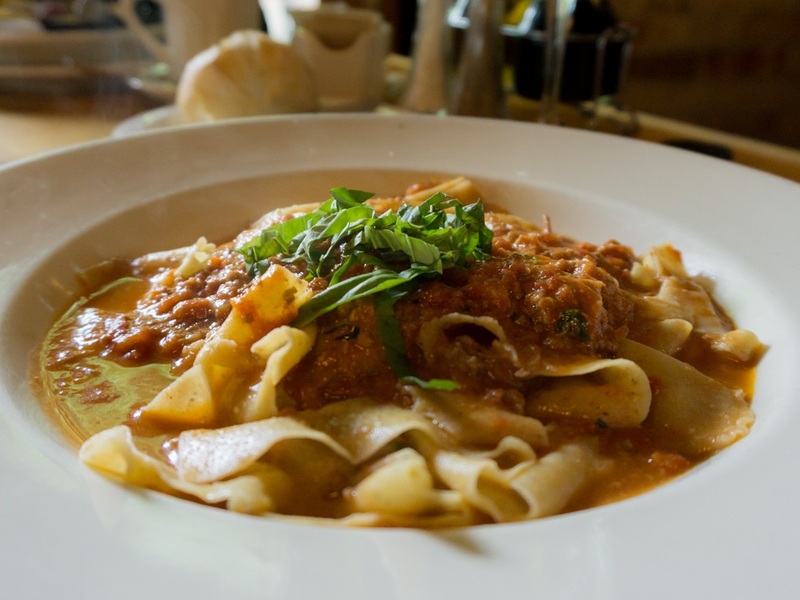 My advice is to start your night enjoying Molise’s much loved Northern Italian fare; the pictured pappardelle al sugo gets my nod here, fat house made pasta bathed in a rich meaty sauce. From there move downstairs for a night cap or three in the wine bar. 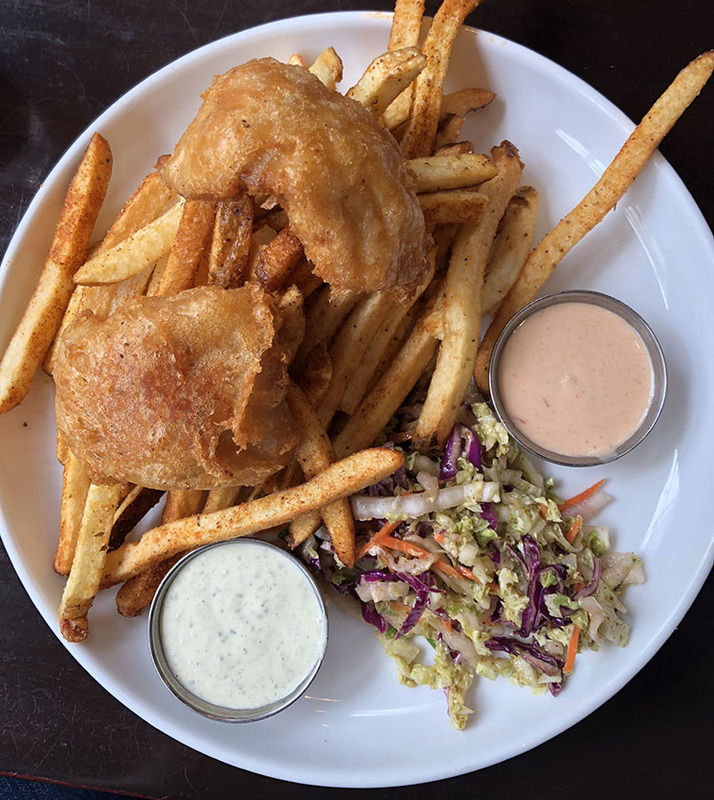 Towering seafood platters through to humble fish and chips – Current Fish & Oyster is one of the best places in SLC to enjoy quality shellfish and seafood. There’s an excellent wine and cocktail program and in 2018 Amber Billingsley also joined the larger kitchen crew, meaning you can count on dessert being top notch too. Thou art more lovely and considerably more meaty. And thy half pound lease hath all too short a meal. When in eternal lunch lines time to thou thou grow’st. So long lives this mighty sammich, and this gives life to me. 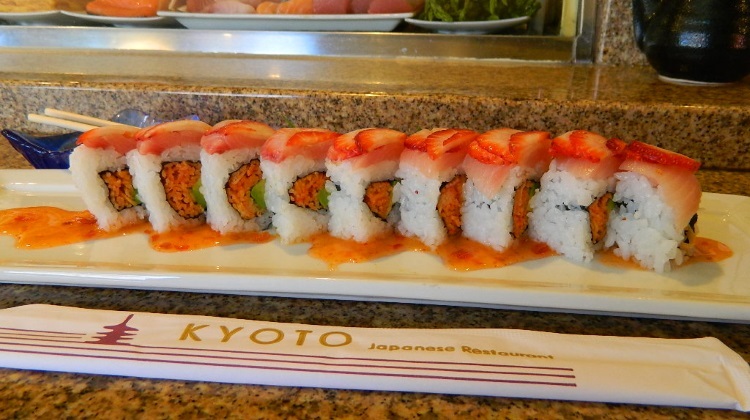 Despite the rumors about green jello, Salt Lake’s streets are actually lined with cream cheese maki-sushi rolls. If you’re looking for something more traditional though, check out this East side restaurant that has been modestly crafting the most hands down authentic Japanese food in Utah for more than three decades. Of course you can also get a modern maki roll while you stop by, but you’d be remiss not to check out more elegant sushi preparations plus a swathe of classic dishes such as tonkatsu and sukiyaki plus tempura that will blow your mind. 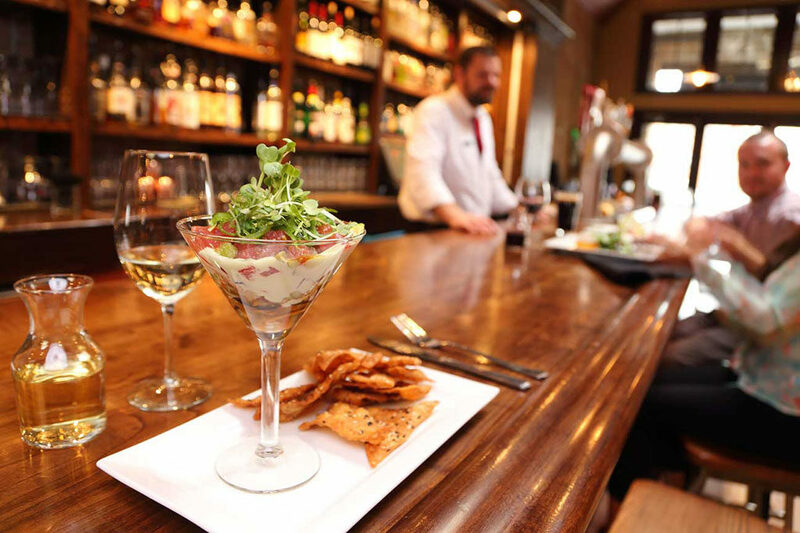 Snugly nestled in Millcreek Canyon, this fine dining destination is one of the most jaw dropping foodie excursions you’re likely to take anywhere in the state. Heck anywhere in the U.S. for that matter. 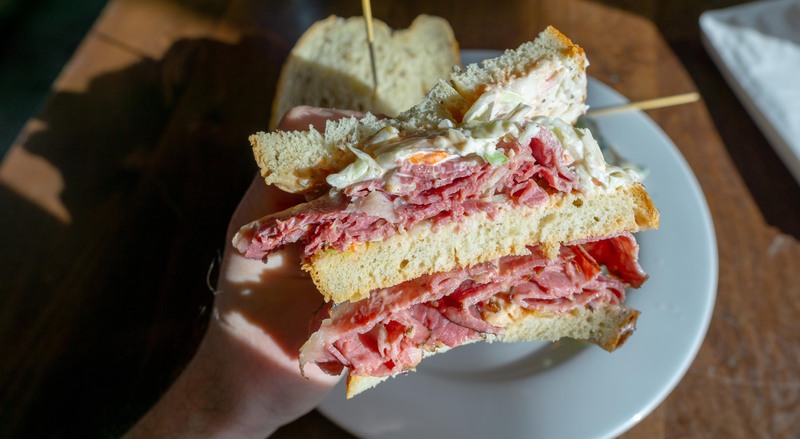 The cozy cabin-esque (in truth it’s a fairly large operation these days) restaurant offers hearty new American cooking with a dollop of International flavors. Amidst the soaring pines, roaring waterfalls and crackling fireplaces, it’s no wonder so many couples say, “I do”, at Log Haven. There was a time that if you mentioned small plate dining, you’d be blankly stared at, or perhaps escorted away from the scene fairly promptly. That all changed when Jen Gilroy debuted Meditrina a decade or so ago, pulling Utah up by the pants and bringing it into the modern dining world. These days of course you’ll find small plate options on even the large corporate chain menus. Meditrina though continues to innovate in its own way; a curated wine list of intelligent pours, savvy creations leaning on local and of course, a recent move to the upcoming Central 9th area alongside other local stars such as Water Witch and Laziz Kitchen. 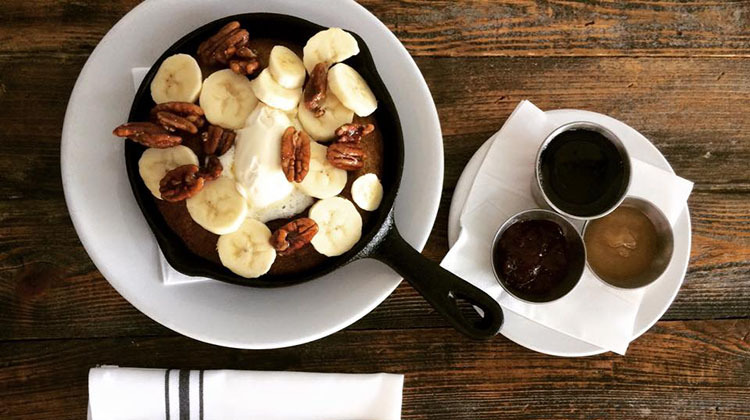 Brunch seven days a week, what more do you need to know? Actually, most in the know foodies know about this Oasis in the heart of the city well. 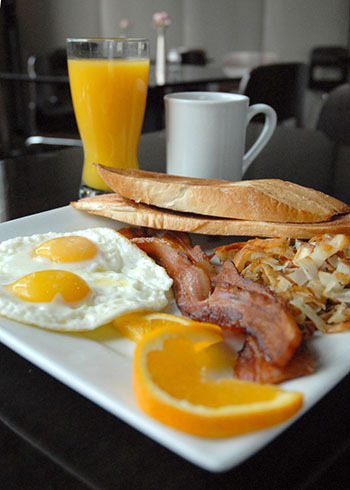 The casual cafe offers breakfast, lunch and dinner seven days a week, and does so in a calm and tranquil setting. There’s a full bar, weekly specials, great coffee and teas, and come Summer one of the hottest patios in town. The sophomore outing for Meditrina’s Gilroy was this outpost in Daybreak; and one that leans more slightly more heavily on her Southern excursions. The focus here is less small plate, and more hearty American cuisine (think ribs, meatloaf and banana pudding). Easily the goto restaurant in Daybreak and quite frankly he surrounding area for miles and miles. Housed adjacent to each other is Proper Brewing and Proper Burger. The former is the brands large scale brewing facility that also supports a bar. 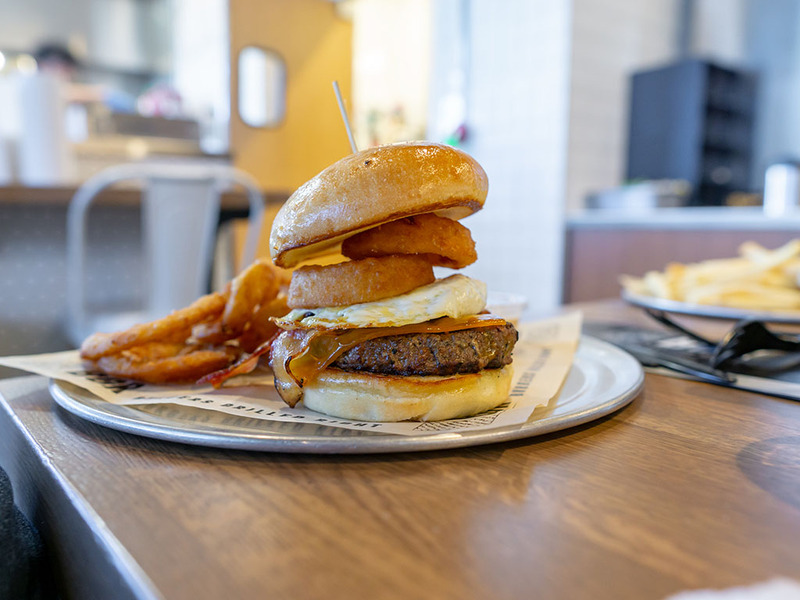 Next door Proper Burger riffs on the American burger parlor with plenty of giddy modern creations and old school classics alike. Yep, there are shakes. 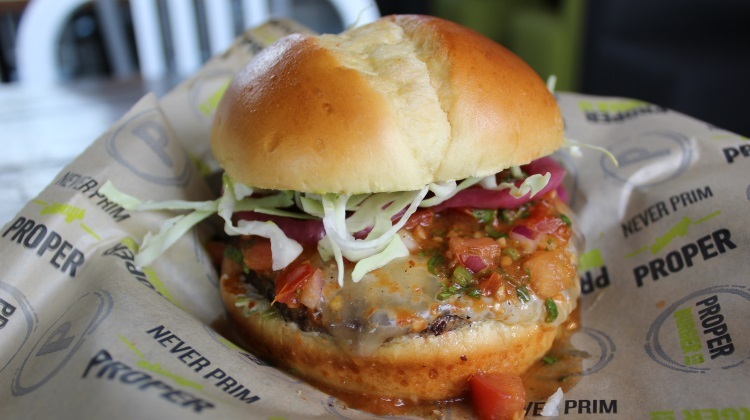 You can start at the bar and end with a burger, or vice versa. Or go back and forth several times in a beer and burger frenzy. Red Rock is often one of the first (or last depending on whether we’re coming or going to the airport) places I take new visitors to SLC. 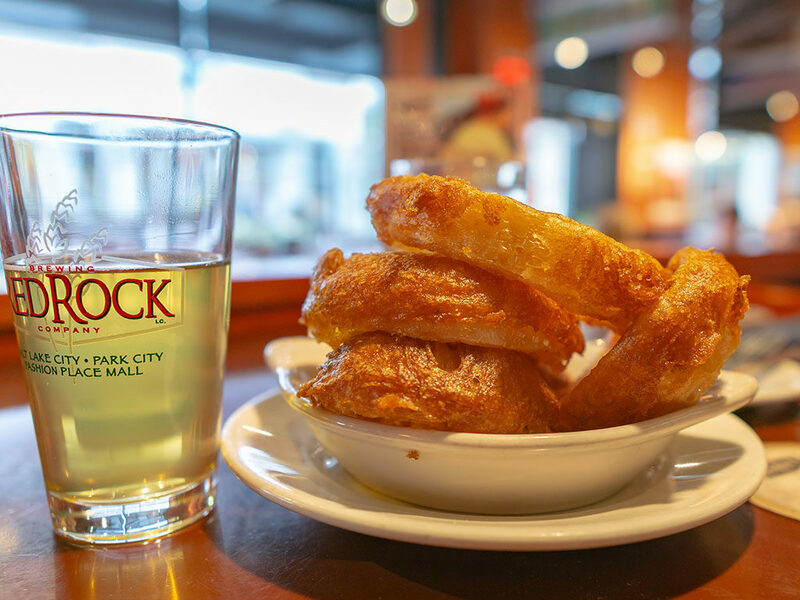 The reason is quite simple: if you can’t find something you like on the Red Rock menu, you probably don’t like food in general. Pizza to pasta, sandwich to salads (I know I know), turkey to taco – the brew pub menu serves solidly for any occasion. All of the businesses locations are spacious (you dont really need to worry about reservations) and of course, there’s their award winning brews. Mines an Elephino with a mountain high pile of onion rings thank you very much. In 2018 Lavanya Mahate’s trio of Indian restaurants underwent some canny and creative rebranding. 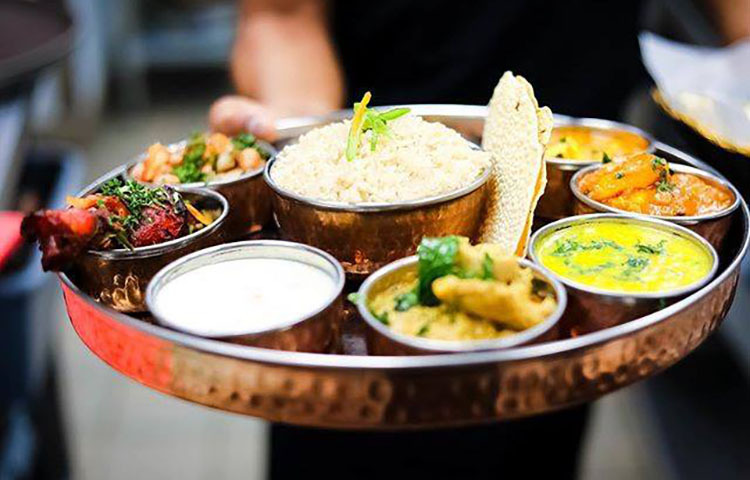 Seeking to really showcase and explore the diversity of the Indian subcontinent; you know a billion people just don’t eat chicken tikka masala right? The result was three new businesses, all sharing the Saffron name, but all exploring Indian Cuisine slightly different: up in the Avenues Saffron Colonial offers a traditional Indian spread; Sugar House’s Saffron Bistro takes a more modern approach; while South Jordan’s Saffron Canteen gets to grips with more casual Indian street food. Amid the fads of hot new vegetables, ramen this and sushi that – one thing never goes out of style – the classic American steakhouse experience. That’s what Spencer’s (located in the base of the Hilton downtown) has been offering for more than two decades. From dapper wait staff to the wood panel bedecked dining space, the restaurant oozes class and charm. While the menu is often updated with new apps and entrees, the core menu is a range of aged USDA prime steaks, often with plenty of bone-in specials. Even the team at Stanza would be the first to admit that it took a little while for them to really find their feet; the building and business that replaced the smaller Faustina is just so much larger in capacity and concept. That all changed when Jonathan Leblanc joined the team though and sparked some genuine magic in the kitchen. Leblanc is a seriously talented chef, make no mistake; some of the dishes I’ve sampled in the past year have left me swooning. If you haven’t been in 2018, set that right in 2019. 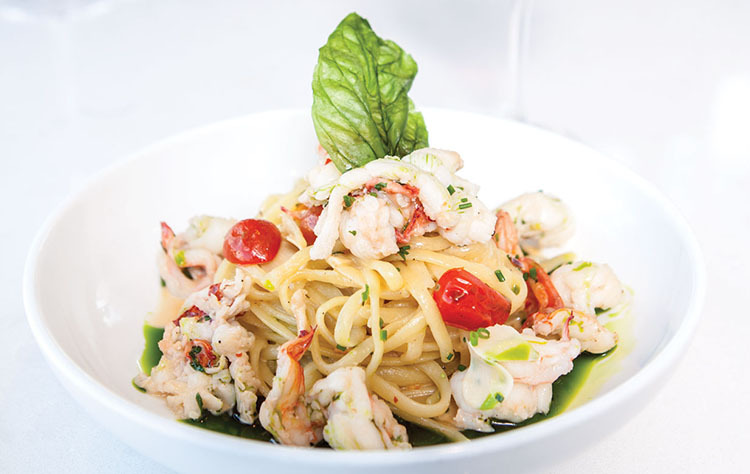 Stanza is equally usable for a brisk lunch spot as it is a date night destination. Sister business to neighboring Current Fish & Oyster, and another twin-operation that lets you bounce back and forth for a fun self contained evening. 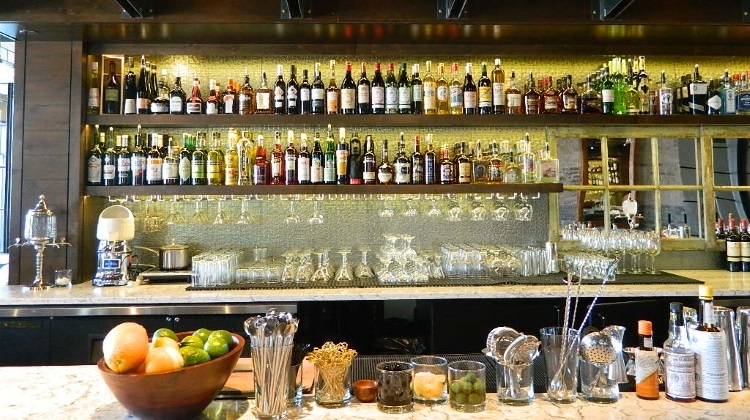 Undercurrent is one of the cities premier craft cocktail spots. This side by side duo of business from the Bourbon Group share a lot of familial DNA. Each sports a tip top trendy bar that packs in patrons most nights of the week. Both have bar lineups that make even this lush blush. Critically though, with award winning Matt Crandall at the helm, both have chef driven menus that punch far beyond humble pub grub. 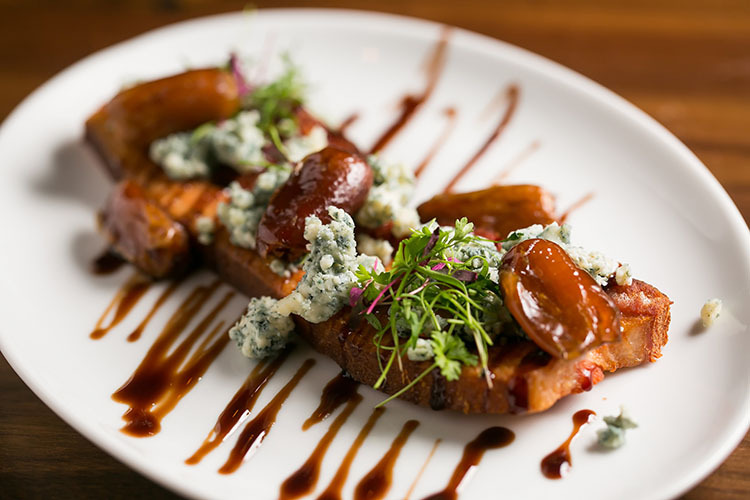 Over at Whiskey Street you might order an app of pork belly corn dogs before bouncing next door to White Horse and carrying on with fresh shellfish or an order of braised short rib. Another national chain, but again one that’s executed with such aplomb that it’s a no brainer. Stop by to first check out the line of California EVOO and be sure to pick the brain of co-owner and chef Josh Garcia. 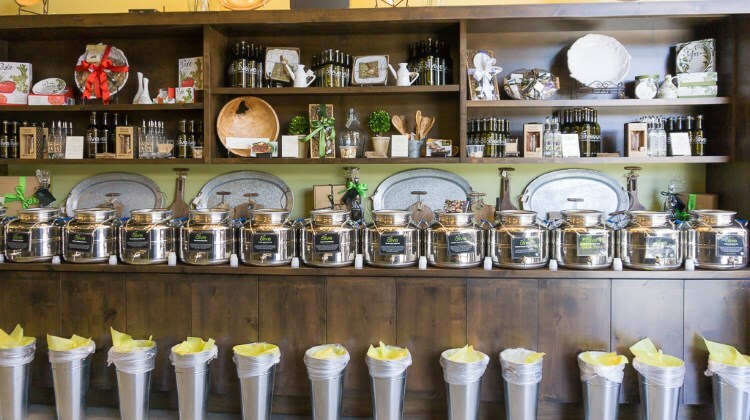 You’ll learn more about REAL olive oil in ten minutes than you ever through possible. The whole store is for tasting too, so you can try before you buy. Once you do, you’ll simply laugh at grocery store oils from here on out. 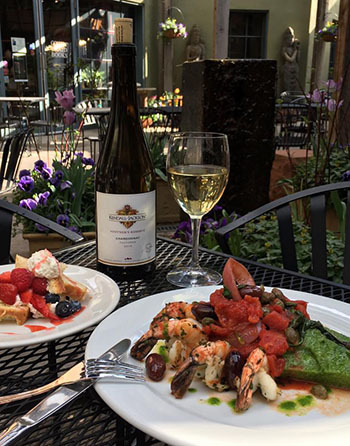 Afterwards, take a load off in the restaurant area, order up a glass of wine (selected by Garcia) and a small plate to two; the food menu at We Olive also leans heavily on the store’s stock for good measure. We also partner with non-restaurant business too – case in point – this wonderful local wine broker who ensure our DABC shelves are always lined with something eminently drinkable. Throughout the year we often feature their wine picks. Vine Lore are also the driving force being the quite marvelous Eat Drink SLC event which has been getting bigger and better every single year. 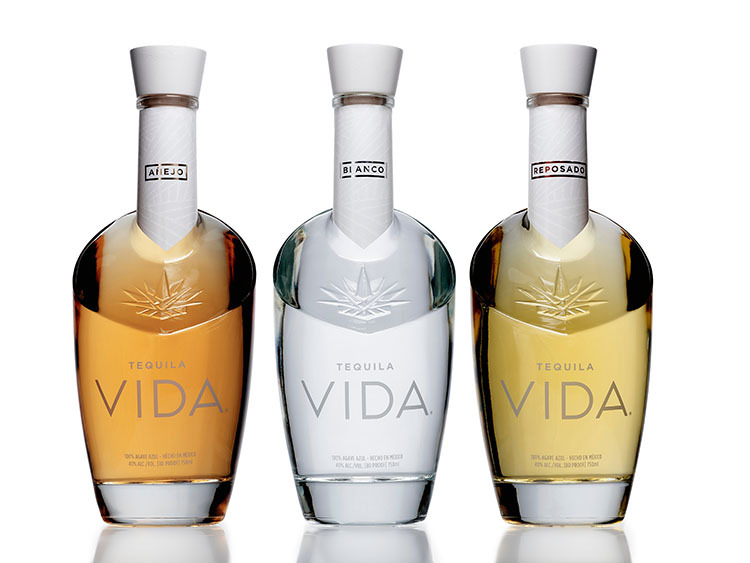 Another non-restaurant partner we have are the guys that craft this fabulous high end tequila. As you can see in the pic above, the brand underwent a fairly dramatic and modern reworking during 2018. The new 2018 bottling is Drop. Dead. Gorgeous. 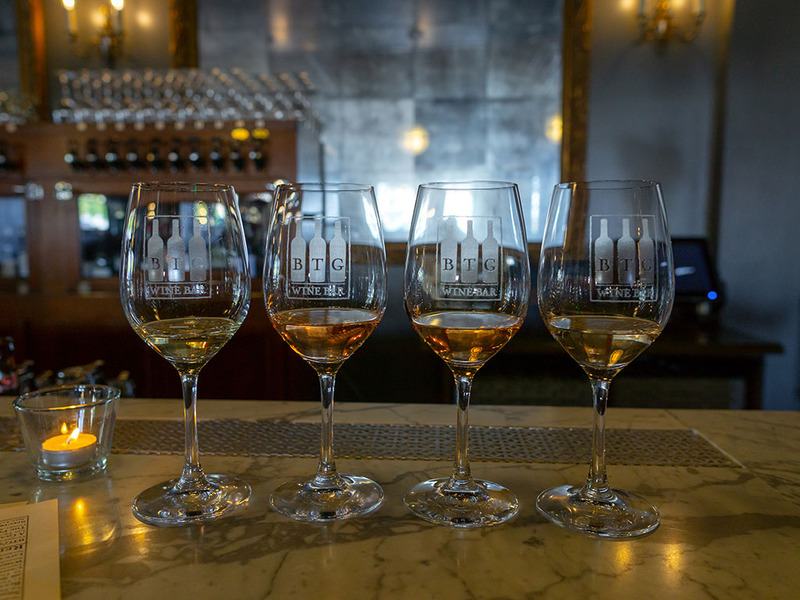 Their lineup of blanco through reposado offers everything from a flexible cocktail base through to a nuanced night time sipper. Hi, I’m Stuart, I like food. Do you like food? Cool, we should hang out. Better yet, read this website – one I started wayyyyy back in the mists of time. To be more precise, these particular mists of time are 2007. This was a confusing time, with next to no online food websites for the Salt Lake City area aside from the mainstream media. This was before Instagram and prior to the arrival of the word foodie. The Goliath that is Yelp was just a twinkle in a coders eye and smart phones had yet to proliferate in every hand across the country. What didn’t change, I still love food. And beer, and wine, and more food, and great food products, and, and, and, well I think you get the picture. 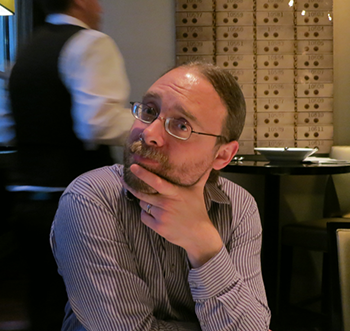 For five years or so, I went a little bonkers and freelanced for the Salt Lake Tribune, preaching the good word about food as a restaurant critic. I’ve also randomly done similar tasks for other local publications such as Visit Salt Lake and Utah Stories to name just two. Over the most recent years I’ve wound down all of these freelancing activities to focus squarely on Gastronomic Salt Lake City. High quality coverage of the food and beverage scene in Salt Lake City is rapidly dwindling. Print media is now on its last legs; you’re as likely to find a wire piece chili recipe or article on fast food hamburgers than you are something about local, amazing food. I want to make sure that the rapidly evolving food scene is covered accurately and intelligently. I don’t want to write about fast food hamburgers. Do you want to read about them? Side note: I don’t mind eating hamburgers of any description. If you’re a reader of Gastronomic Salt Lake City and wonder why I seek paid partners – you might be just be asking – surely this should all be a labor of love? Right? You’re not wrong, and for the past decade I’ve ran Gastronomic SLC with a limited budget and lots of goodwill. Over the most recent years I’ve been able to make a modest income off of the site by working with local businesses who I respect and trust. That in turn has helped me invest into better software, equipment and advertising platforms to improve the site and reach more people. I want to build on that. I want to raise the bar. I want to be able to pay quality writers, and produce even more content to keep you upto date with everything happening in the food and beverage scene here in Utah. Long term followers of the food scene in Utah will have no doubt witnessed the slow and painful decline in coverage by the mainstream print media. Some publications rely more and more heavily on AP wire pieces, some have dropped covering the food scene at all. Some literally write about the latest chain restaurant and their new item. That’s not food coverage I want to read, what about you? The fact of the matter is that many of these legacy print publications are built on a completely different cost structure, one that relies on the income of a different era and business model. These business have massive infrastructures, staff, facilities, costs. As budgets are squeezed the first things to go are niche news areas such as food. Not to mention talented writers. What do you spend your fabulous riches on? Typically this boils down to Facebook advertisements. Growing our readership numbers is a virtuous circle. More eyeballs on Facebook means more readers on the site and people signing to our newsletter. The companies we work with love all of these things to be bigger and better. One feeds the other and vice versa. I’ll usually spend around $5-$10 every time I post on Facebook to give it a little oomph. On bigger pieces that resonate exceptionally well, like our new restaurant features, I can go as high as $50-$100. This means I can happily spend $40-$150 or more per month. The Event Calendar Pro– $90 a year, this runs our event calendar. Hit the whats on tab at the top of the site. OptinMonster– Around $360 a year and allows us to generate popup newsletter nagging events, ad banners and more. Adobe LR/PS– $10 a month, two essential photo editing tools to process RAW food shots and get them looking dapper for the site. This varies year by year. I recently spent around $450 for a lovely new F1.4 16mm camera lens (I shoot on a Sony A6000 right now) to improve the image output on the site. Hopefully you saw these improvements in 2018. A lot of the time I compete against semi-pros when it comes to the photography side of the site, so I try to keep improving where possible. I mainly use Lyft to get around. Fun me fact: I never learned to drive my whole life. I happily take the bus when I can, but that’s often impractical. I also hassle everyone I know for a free ride when I can! I try to minimize my travel best I can too. I feel like I am sending myself to sleep writing this section: website backup software, business licensing both state and city, office supplies like paper and ink to send contracts to folks. And on and on, yep it all adds up. Lastly, but not leastly – I plow an inordinate amount of hours into the site. Most weeks this is easily 20 hours if not much more. This site is also not my full time job, so I’ll let you calculate how that all works. Lots of early mornings and late nights. While you’re watching Game Of Thrones, I’m sat in Adobe Lightroom in a dark office poring over 100s of shots from an event to see what’s going to work best on the site. While you’re posting IG pictures of enjoying a Summer BBQ or concert, I’m still indoors, prattling away at the keyboard. I rarely see the sun. Or my family members. Sure, I do really enjoy all of this. I get to eat a lot of food, attend events gratis, meet some awesome people and tell their stories; but who doesn’t want to get paid for their time, energy and effort? Anyway, enough prattling on, let’s eat!